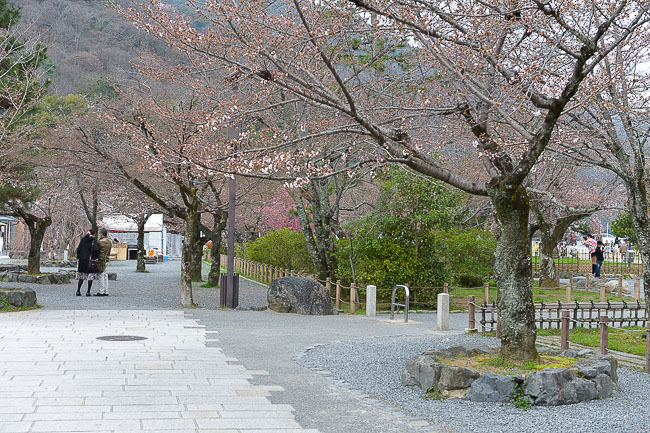 After spending the last few days enjoying the beautiful full bloom around Kyushu, it was time to head back to Kyoto to see how their cherry trees have been progressing. 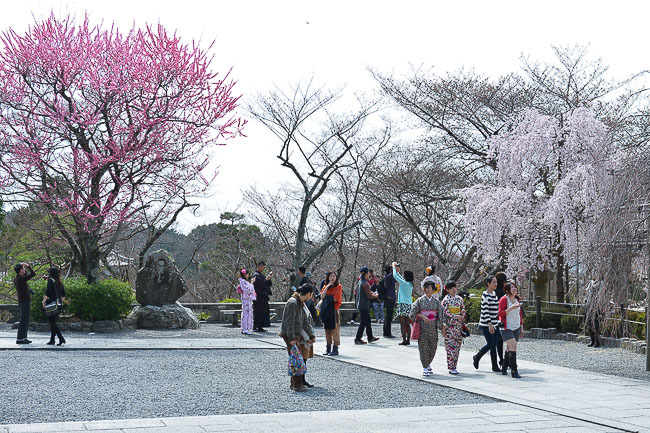 It's been four days since my last visit and since then the blossoms have official opened at most sites around the city. 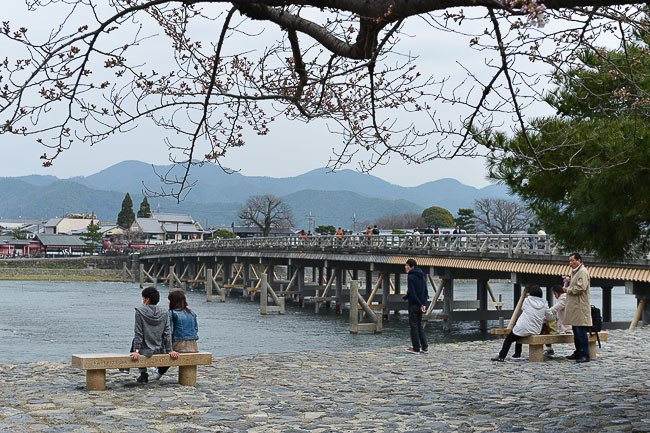 My first stop this morning was to Arashiyama, a popular sightseeing district in the northwest corner of Kyoto. 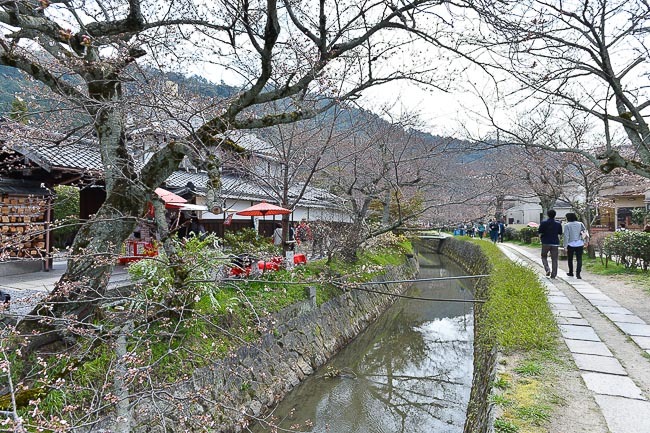 Arashiyama lies outside of the city center at the base of Kyoto's northern mountains. 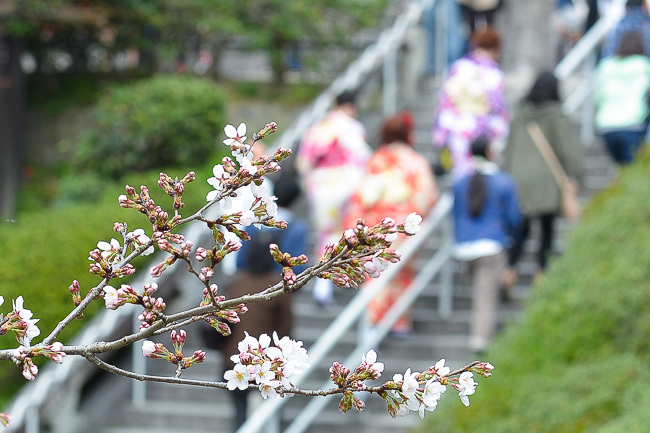 Consequently, the cherry blossoms around the area tend to open a little later than those around the rest of the city. 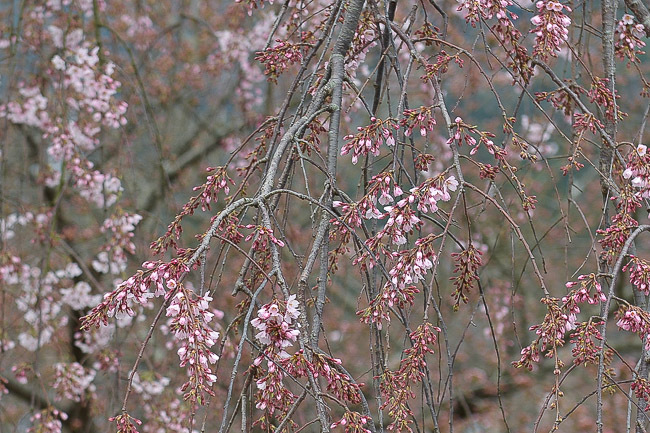 This was pretty apparent today as roughly half of the trees, especially those that were exposed along the riverbank, still hadn't started blooming yet. 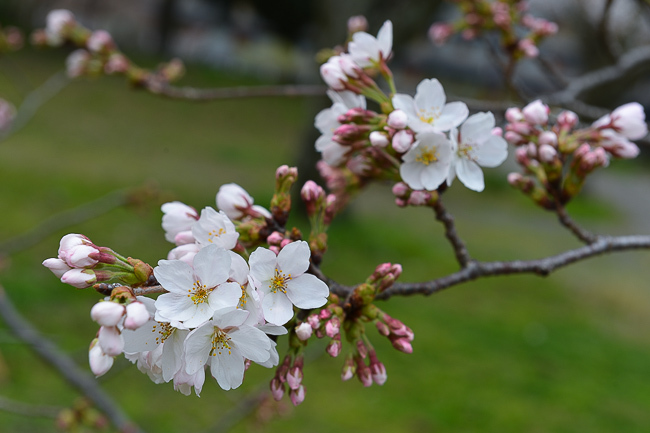 The more sheltered of the trees, like those found in the inner areas of Nakanoshima Island and in the grove on the way to Hankyu Arashiyama Station, are blooming nicely and have reached the 10-15% open mark. 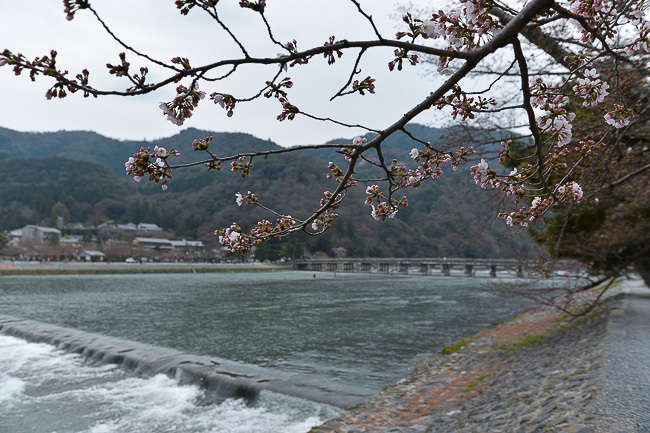 With the good weather forecast for the next week, I would expect Arashiyama to reach full bloom around next weekend or earlier. And for all you illumination lovers, note that Nakanoshima Park will be lit up in the evenings from 18:00 to 22:00 until April 13th. 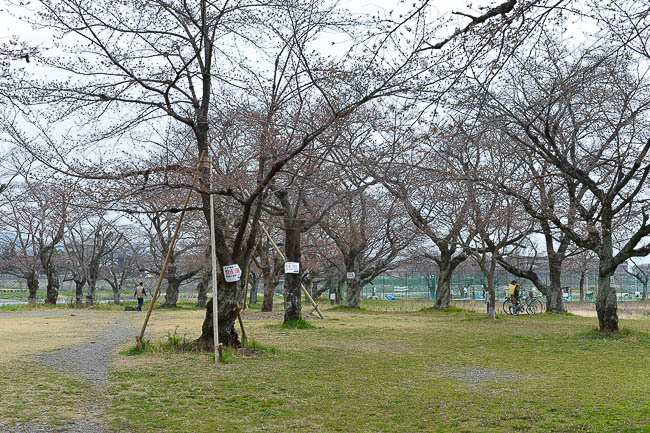 Unfortunately this prime hanami spot is roped off. 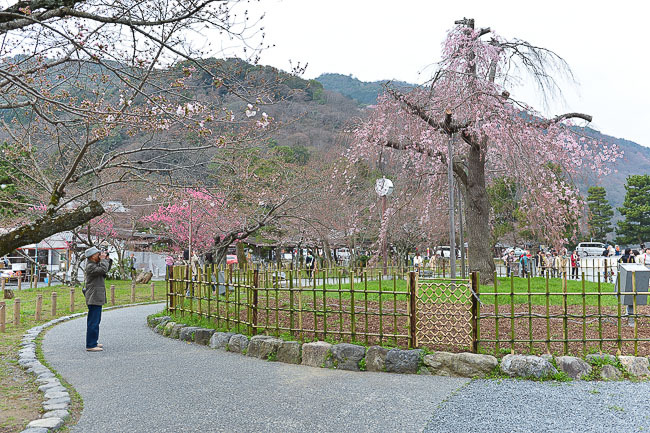 Next I headed across town to the Philosopher's Path in the northeast corner of the city. As a side note, I wouldn't recommend copying my itinerary from today as the travel between spots will eat up all of your sightseeing time. 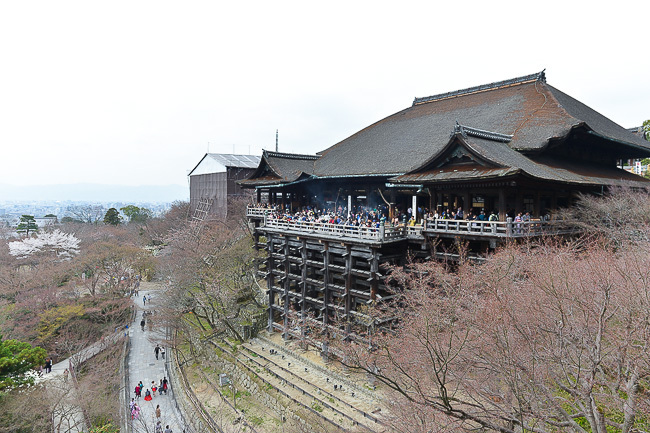 For example, it took about an hour to cross Kyoto using a combination of train and bus. 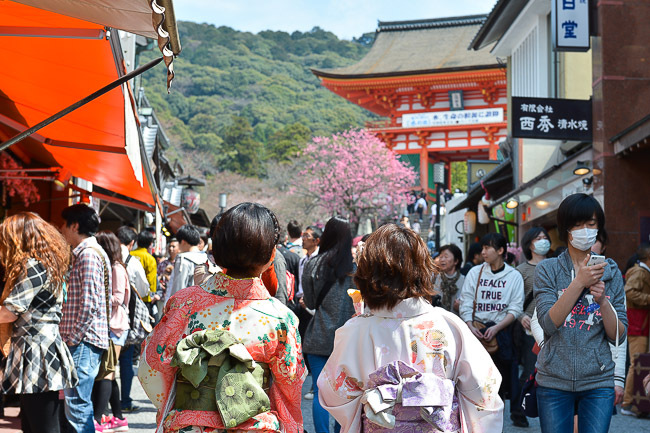 It's better to group sights into regions, and check out our suggested Kyoto itineraries page if you need help with this. 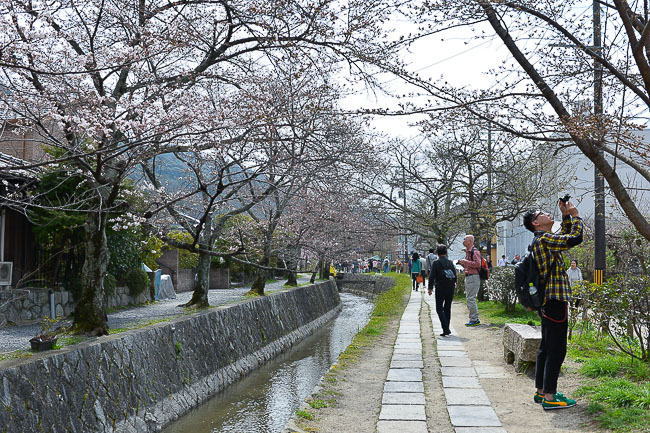 Anyway, the Philosopher's Path is a two kilometer long, paved trail along a canal that runs between Ginkakuji and Nanzenji Temple. 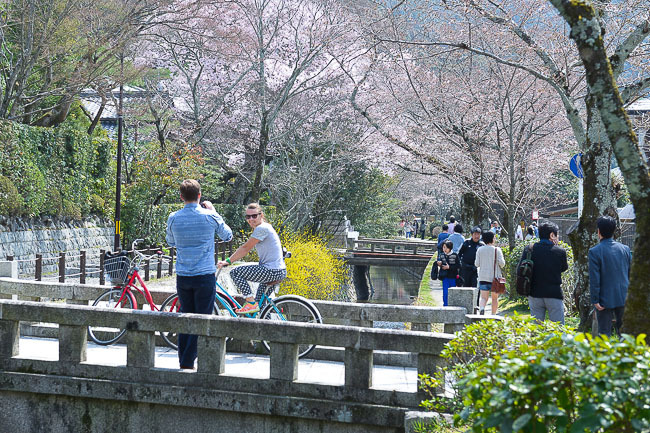 The canal is lined with hundreds of cherry trees which can be enjoyed as you walk along the path. 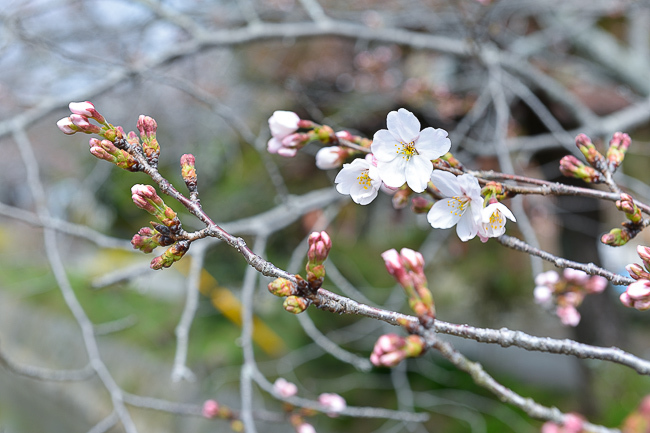 Today their blossoms look like they have only just begun to open, with most trees around 10-20% open. 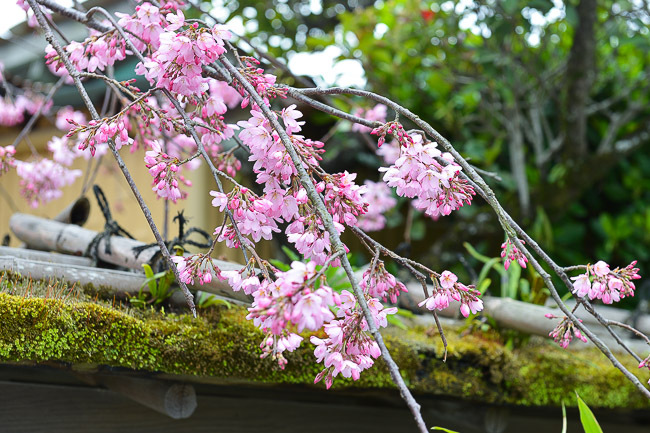 It's supposed to rain this evening, however it will probably have little effect on the flowers. 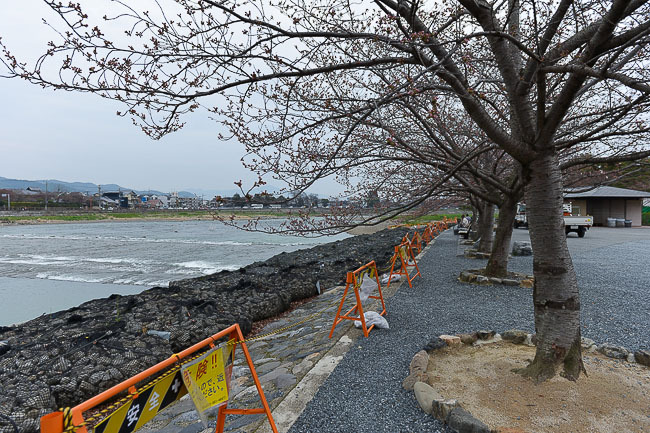 Otherwise, it's just good weather on the horizon so I would predict the trees along the path to reach full bloom around the second half of next week. 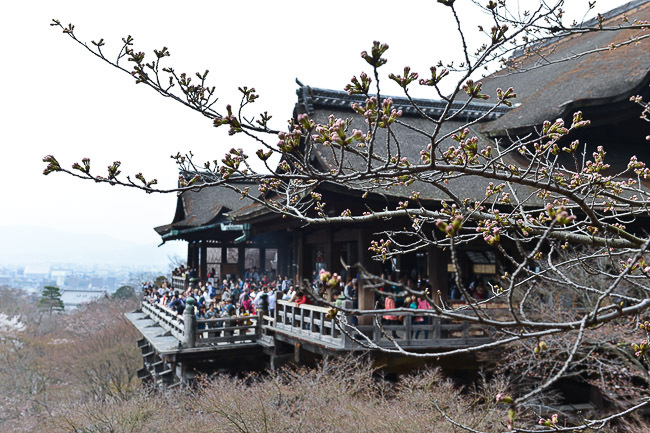 After one more crosstown jaunt (this time by taxi) I arrived at Kiyomizudera Temple, one of the city's most popular cherry blossom spots. 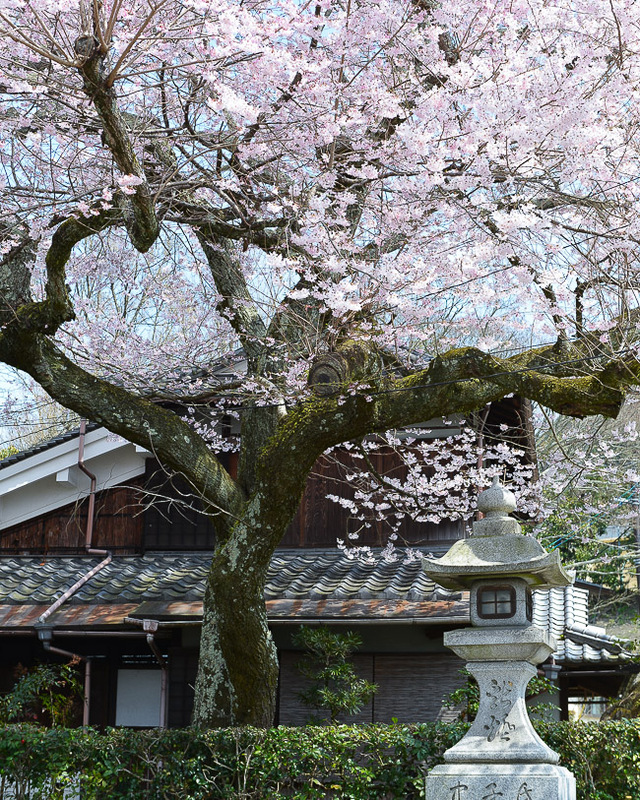 At the peak, it looks like the temple is rising out of a sea of white petals; however, the blossoms were quite sparse today and very few open flowers could be seen around the grounds. I would judge it to be around 10-15% open and would estimate full bloom to be reached before the end of next week. 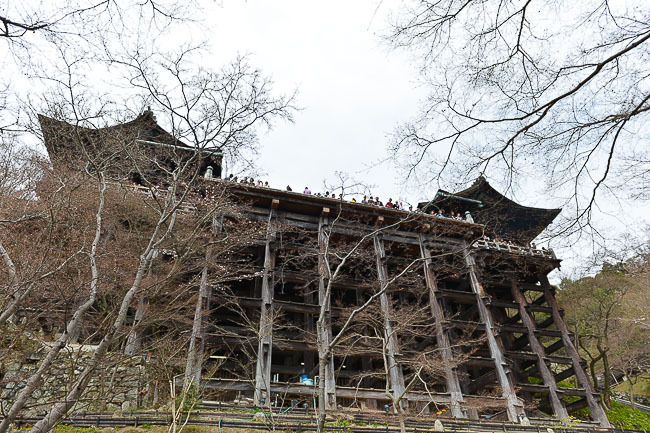 Kiyomizudera will be lit up in the evenings from 6:30 to 22:00 (entry until 21:20), and costs a separate 400 yen admission. The light up runs until April 13th, although I'd probably wait to go until the blossoms improve. 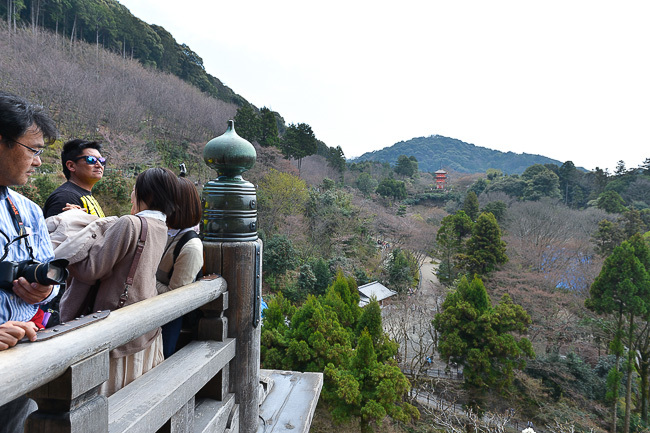 Also note that there is ongoing construction happening around the temple that has a small impact on the views.